After 15 years of practice as an IT consultant in the corporate world, Anna (PranaAna) changes the direction of her professional pursuit in search of a completely different self-realization. Thus ERP systems and financial statements give way to folklore, folk singing, music and the techniques for personal development based on psychology. She redirects her skills and development in a new route – expressing her talent and achieving her personal potential. 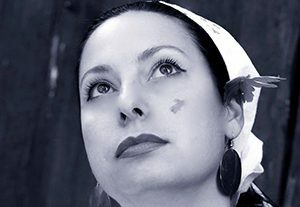 Folk singer and host of numerous events and seminars in the field of personal work and Bulgarian folklore. She has worked with groups across the country. Through her unconventional approach and professionalism, she has become an indispensable guide towards a new worldview and behavior of positive change.